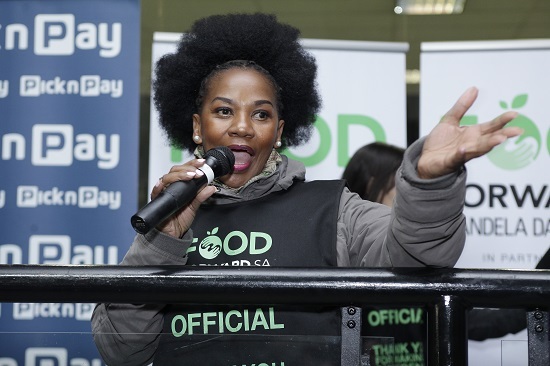 Lucia Mthiyane has been in the food industry for more than nine years. With her name meaning graceful light in Italian, this self-taught culinary goddess is known for the feasts that she prepares with flair. She is a popular actress who has appeared in a range of television shows like Rhythm City, Muvhango and recently critically acclaimed Doubt. Lucia has been running successful cooking classes for the past seven years and has partnered with big food brands like White Star Super Maize Meal, Knorr, Knorrox, Royco and Robertsons. Lucia is also a sought after judge in cooking competitions. She has recently guest judged the world acclaimed Top Chef Saturday and is the main judge for White Star Celebrity Cook-off which takes place annually in September. Lucia was also one of the two judges on the KFC Taste Kitchen which aired on DSTV’s Mzansi Magic 2017 where two cooks walked away with R1 million. Growing in popularity, Lucia is working on a cook book and her own television cooking show that will be broadcast later this year, and has more than 600,000 followers on social media platforms. Lucia is passionate about making a tangible difference in our country, and is keenly aware of the social and economic challenges we face. Lucia is excited about the work that FoodForward SA undertakes in the food security space, and considering her history working with food it made sense for her to partner with us. She holds strong views when it comes to poverty alleviation and is committed to addressing the problem of hunger in South Africa. Lucia attended our FoodForward SA Mandela Day Food Drive packing event at the Gallagher Convention Centre, and was blown away by how corporate South Africa is working together in support of FoodForward SA. FoodForward SA is proud to have Lucia as a brand ambassador!